In 1991 he founded his own firm, which soon expanded and took on assignments both locally and around the world. Hannes Wettstein also taught at the Swiss Federal Institute of Technology Zurich and was later appointed a professor at Karlsruhe University of Arts and Design. Since his death in 2008, Studio Hannes Wettstein has carried on his work and currently employs a staff of some ten designers who work on anything from interior design to furniture, lighting and a variety of other products. 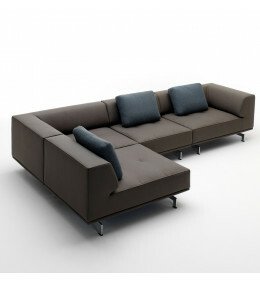 EJ 450 Delphi Sofa is spacious modular soft seating with interesting construction dynamics. 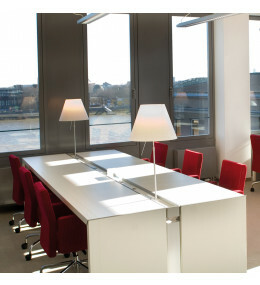 Double You bench desk system allows the user as much space as their amount of work. 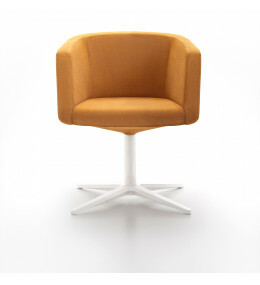 Dininho Armchair is an elegant and comfortable soft seating solution for office reception areas.